A good seatpost is essential for consistent power delivery against the clock. The Metron SB20 post delivers, with carbon fiber monocoque construction that combines the shaft and head into a single, strong yet lightweight piece. The post is topped off with a forged alloy Minimal Top Clamp for secure saddle location. Simple two-bolt adjustment allows fine control of your saddle angle, so it’s easy to get your ideal riding position. The K-Force post’s one-piece carbon fiber shaft and head are topped off with a forged alloy Minimal Top Clamp, giving a full range of adjustment and secure saddle mounting at a very low weight. The new SL-K SBS SB20 seatpost is lighter and stiffer than ever – just 222 grams for the 27.2 x 350mm length. Using a UD carbon shaft with a bonded alloy head and a sophisticated MTC clamp design, we can achieve what we believe is the finest SL-K seat post yet. 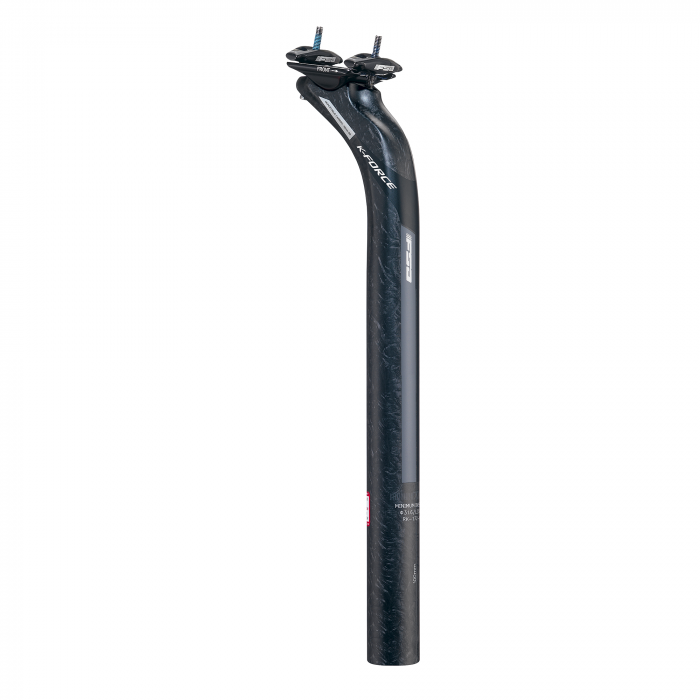 FSA ITC Seatposts employ newest patent-pending design. The SL-K ITC SB20 with The ITC (Independent Top Clamp) design allows for completely independent adjustments of saddle angle and saddle position. This allows for rapid and easy, minute adjustments for bike fitters and end users, to attain the perfect saddle placement. Only one bolt is needed to securely affix the saddle tilt due to 4 tapered-locking grooves between the side clamps and head unit. Directional butting of the Energy SBS SB20 seatpost’s 6066 aluminium shaft gives it thicker walls fore and aft for stiffness and thinner walls at the sides to cut weight. The Gossamer seatpost’s NANO saddle clamp is simple to set up and adjust, with a single bolt and a wide range of angle adjustment. A 6061-T6 aluminium shaft, anodised finish and forged head make for a robust yet lightweight seatpost.